Earlier this week, the UN Intergovernmental Panel on Climate Change (IPCC) released a report that revealed that the dire impacts and threats of climate change are happening at a much quicker rate than previously thought. As a second major hurricane barrels down in the Southeast United States this season, and countless international climate disasters are in the news every week, climate change is becoming more urgent, especially for coastal cities like New York. Replacing our concrete surfaces for more green infrastructure and natural systems is a great way to address climate change, both in terms of mitigation and adaptation. Vegetation throughout our cities take in carbon dioxide, a greenhouse gas, as well as other air pollutants. Green roofs and street trees are also proven to reduce heating costs in the winter and cooling costs in the summer, reducing our demand for fossil fuel energy. In terms of adaptation, soft shorelines with layers of vegetation help block wind and wave energy, protecting communities along the coast. These green infrastructure systems are often less costly and much less resource-intensive than their grey infrastructure alternatives (such as stormwater tanks and metal bulkheads). If recent climate change news has you thinking about ways to reduce your carbon footprint, such as using less electricity and driving less, also consider adding green infrastructure to your home and advocating in your community for more street trees and vegetated swales. If you own your home or a business, check out our green infrastructure guide for private property owners. NYC Soil & Water Conservation District is seeking an IT consultant for a CSO public outreach project. The Request for Proposal is found here. We believe this project is perfect for a graduate student with IT knowledge. The project partners are Riverkeeper and the SWIM Coalition. NYCSWCD 8th Annual Green Infrastructure Tour - this year by bike in Hoboken! Join the NYC Soil & Water Conservation District on Wednesday October 3rd for our annual Green Infrastructure tour. This year, for the first time, we're going to Hoboken and touring by bicycle! Hoboken has small streets and great bicycle infrastructure, so touring by bike is an ideal way to see sites throughout the city! For those that do not wish to bike, you have the option to join us by van, but seats are very limited. 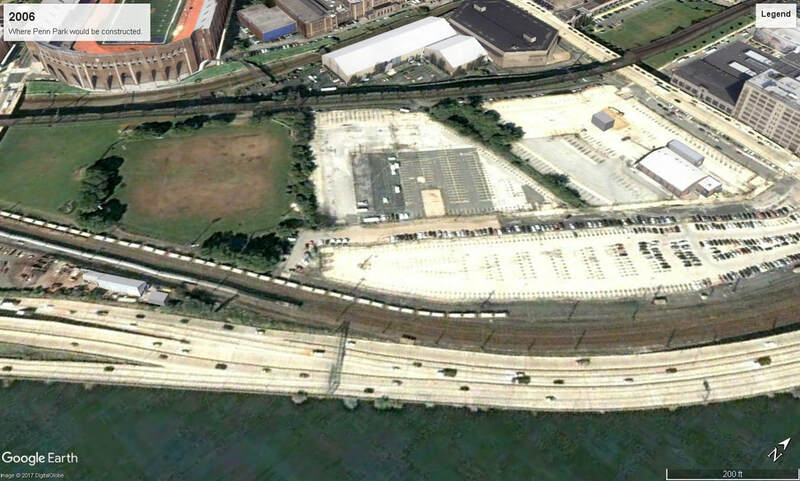 We will meet at 8:45am (at the World Financial Center Ferry Terminal for cyclists, at the NYC Soil & Water Conservation District for the van), and will finish by 5pm. City Hall: City Hall in Hoboken has several stormwater demonstrations throughout the building, including cisterns, rain gardens, permeable pavement and a green roof model. 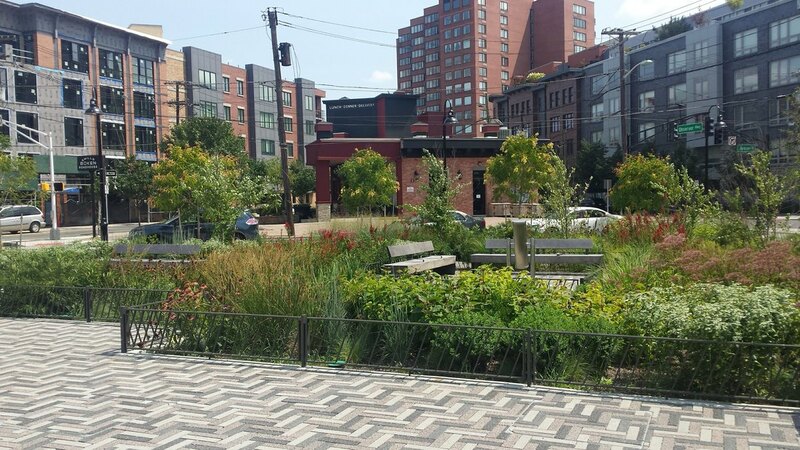 We'll join sustainability staff of the City of Hoboken to learn about the demonstrations and what Hoboken is doing to manage stormwater with green infrastructure. 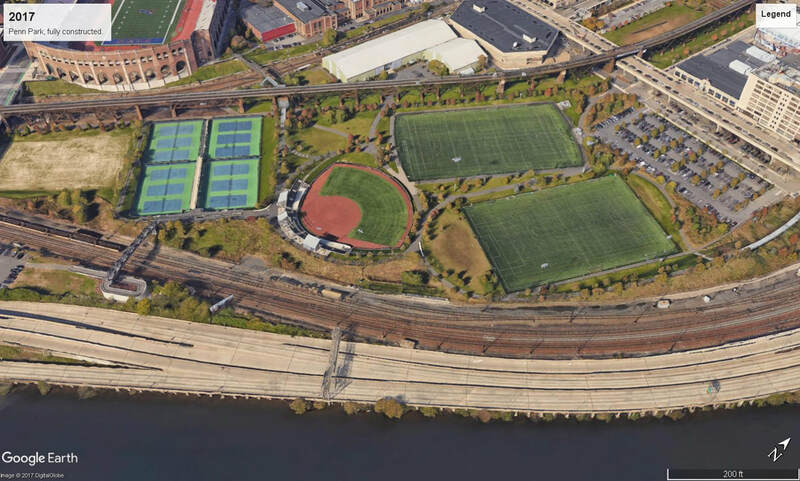 A Combined Sewer Overflow (CSO): We'll meet NJ Future and the North Hudson Sewerage Authority on the waterfront at a CSO outfall to learn about how CSOs impact Hoboken. We'll also get an outfall screen cleaning demonstration, discuss CSO permits, and learn about their live CSO Advisory System. Stevens Institute: Recent Tedx Talk superstar Dr. Elizabeth Fassman-Beck will show us the stormwater projects Stevens Institute is building and studying, including flow-through planters and green roof modules. 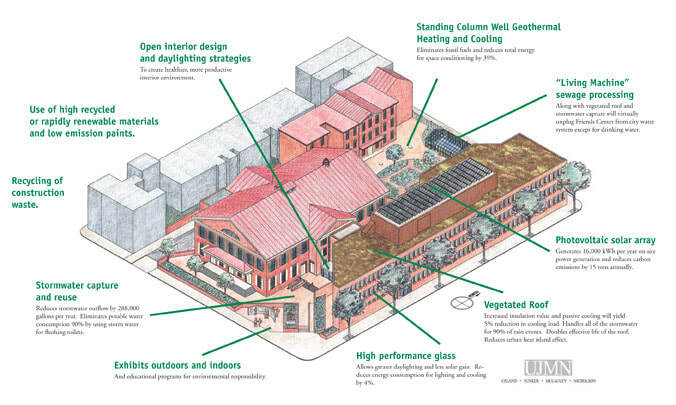 A green roof and farm on an old factory building: Bijou Properties is committed to sustainable building and has many developments in Hoboken. We'll join a Bijou Properties representative to see a former Hostess Factory that now features a green roof and farm and is home to New York Sports Club, CVS and Chase Bank. 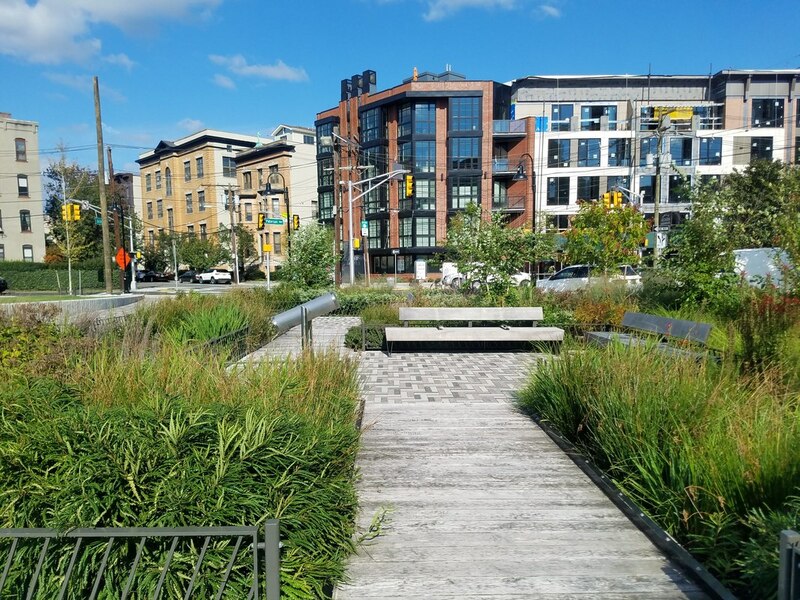 A resiliency park: the City of Hoboken has built the Southwest Resiliency Park to combine flood mitigation green infrastructure and passive recreational space. 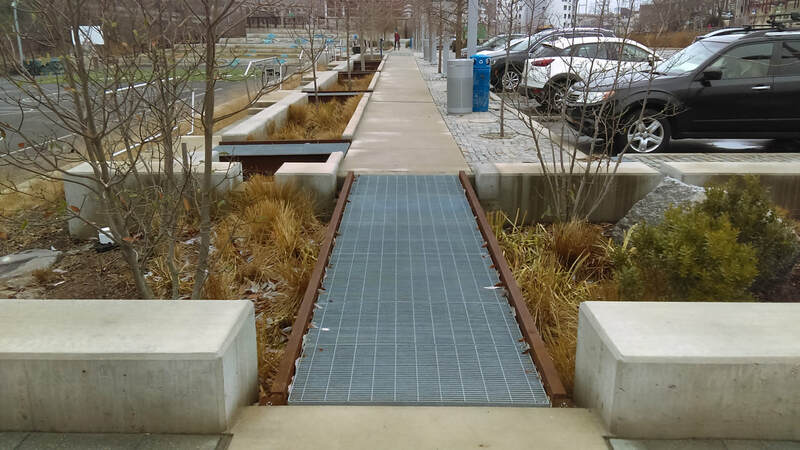 Some features of the park include a bioswale bumpout, permeable pavers and a rain garden. We'll be joined again by City of Hoboken staff for this final stop on our tour. What’s the deal with Environmental Impact Bonds? As cities across the country look more and more to investing in widespread green infrastructure, they must explore innovative ways to finance these new techniques. Traditionally, major grey infrastructure projects such as tanks and tunnels are paid for through a municipal bond, which the municipality will pay off over time through revenue generated through the water bill (in NYC’s case) or taxes. Environmental Impact Bonds (EIB) differ from municipal bonds as they use a “Pay for Success” approach, sharing performance risks with private investors. DC was the first city to trial an EIB last year. 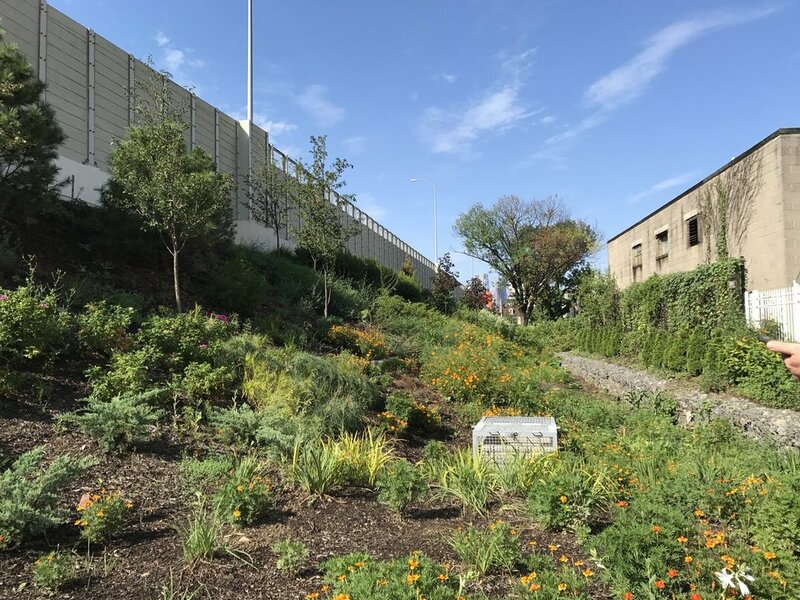 The tax-exempt bond finances DC to pilot green infrastructure projects, with an interest rate dependent on the performance of the green infrastructure project. Building from DC’s model, Quantified Ventures launched a competition with Rockefeller Foundation and Neighborly to issue EIBs in two more US cities. Atlanta is the first to win this competition, funding eight green infrastructure projects for a total of $12.9 million. Baltimore is now looking to do the same. It will be a few years before we see the performance results in DC, and cannot yet measure the success of EIBs to fund green infrastructure projects. However, exploring innovative financing mechanisms for green infrastructure projects is an important measure to entice investors and quantify community and environmental benefits of green infrastructure.